Interactive Map Location of Suntouched City in Torren. 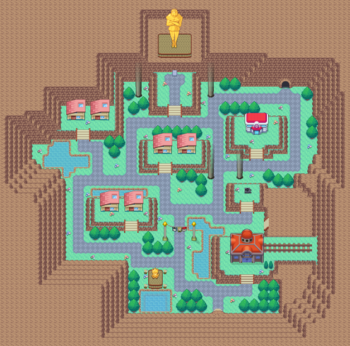 The exit from Suntouched Exitway to Route 3 requires Surf to bypass, which means the player will ultimately need to defeat Orion in the Suntouched Gym in order to continue traveling. Take the fan south of the Pokémon Center to reach the cloud level, where the gym resides. Enter the gym and challenge Orion. 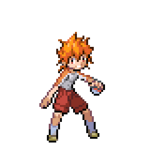 When exiting the gym after defeating Orion, a mysterious girl passes by the player and enters the gym, followed by Nora. The player must enter the gym again in order to acquire the Instant Lapras, which will effectively allow them to use Surf. After obtaining the Instant Lapras, return to the ground level and leave the city through the Suntouched Exitway. Shortly after defeating the Timeless, if the player has already completed the first mission for the Scientists Club, the player should receive a call from Professor Pine concerning a new, massive mission from the Scientists Club. After listening to Professor Pine, take the train to the Holon Region. The Suntouched City Broadcast Tower is a location that is responsible for broadcasting news and information all over the world. The boss of the facility is looking to hire an intern capable of conducting field work for him in a new program about rare Pokémon. 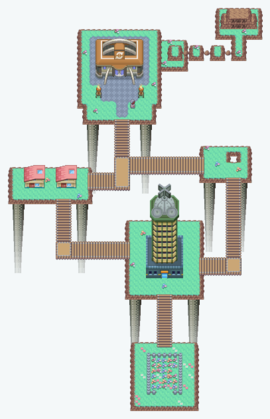 The Move Tutor's house is the house closest to the gym on the cloud level. She will teach Grass Pledge, Fire Pledge, or Water Pledge to a starter Pokémon from the core series of games. The Suntouched Gym is the official Gym of Suntouched City, whose Gym Leader, Orion, specializes in mainly Fire-type Pokémon. Trainers who defeat him are awarded the Thermal Badge, as well as TM43 (Flame Charge) as a reward. Pokemon can be found in the ponds at ground level by fishing and surfing. On the cloud level, in the house furthest away from the gym, is a Lady who will trade her Natu for a Butterfree. Delta Aipom can be encountered by agreeing to assist a man on the ground level with his garden problem, after obtaining Honey. Zapdos can be encountered on the cloud level to the east of the Suntouched Gym if the player has the ability to use Tesseract and Relic Song. This page was last edited on 17 February 2019, at 12:53.